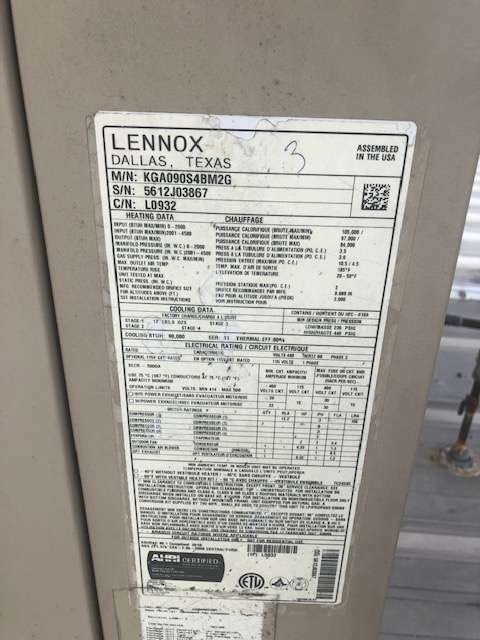 I know that is a wide range so to help you get a better idea of what you might expect to pay i’ll talk about 3 major factors that will help determine the cost of your furnace repair. How much a air conditioing and heating contractor will charge for a service call or diagnosis. note: To get a more accurate estimate on a Furnace repair you’ll need a qualified technician inspect your furnace. Contact us if you need a Furnace repair estimate. Our Trucks are stocked and ready to go all over the Rockwall and Rowlett area, plus the surrounding areas. Factor #1 How much air conditioning and heating companies charge for a service call. Most HVAC Contractors will charge a “service call fee” or a “Diagnosis Fee” some may call it a “Trip Charge” Whatever that name is really means what a company charges to send a trained technician to your home to diagnose your heater problem. Most in this area will charge anywhere from $45 to $160 Depending on if your need is residential or commercial. Unfortunately, in most cases this fee does not include the actual repair. We actually waive the service fee if you have us perform the repair on the same day while we are on site. You can find that coupon here. The downside to the service call fee if you decide to get a 2nd or 3rd opinion is you may have to pay that fee every time you have someone inspect your system. Keep that in mind when you get your first estimate to see if it will be worth the trouble scheduling another appointment and maybe missing more time at work and paying the additional fee. Many times when a furnace fails it is due to a part that has failed. In order to get the system operational again the failed part must be replaced. Weather you have a gas furnace or electric heater, Original mfg parts can cost between $20-$2000 (not including labor) or any MFG warranty on that piece of equipment. Most manufactures offer a 10 year warranty on parts but do require the unit to be registered upon installation if not that may reduce the coverage to 5 years. If you have a Rheem Or Ruud Heater you can check the warranty status here Check my warranty You will need to have your model and serial number handy to check your warranty status. Some repairs can be more labor intensive and therefore will take longer, the longer the repair takes the more you can expect to pay in most cases. In our case here at 5 Star HVAC Contractors we operate on a flat rate price. We believe this to be fair to the customer as some technicians may be slower than others and could cause longer labor times. With flat rate pricing we take the average repair time among all technicians for said repair and use that number so if our average time for a blower motor is 2-3 hrs and our technician has a harder time with this repair and it takes him or her 30 mins or an hour longer you will not be charged for the extra time. Depending on the blower motor type and the model of the furnace a blower motor replacement not under warranty can range anywhere between $750-$2000. At times it is required to also replace the start capacitor, blower wheel or a squirrel cage. You should be sure to ask what all is being replaced and what the warranty is on any new parts. Do you have a labor warranty or parts warranty? If your Furnace or heater was installed less than 5 years ago, it is very likely the part is still under a manufacturer warranty. Any licensed HVAC contractor should be able to remove that part and return it to a local manufacturer and receive a replacement part. Some manufacturers do have a small fee they charge the contractor for warranty parts and so some contractors will pass that fee onto you. Please ask your contractor before accepting to do any work. Labor warranties are often offered by the contractor who installed the system. This will cover most if not all the labor costs. It is best to ask the installing contractor before hand to hopefully avoid paying anything out of pocket. This is probably the most important part and sometimes the most ignored. The Higher quality the contractor the more they typically charge. However, choosing a higher quality hvac contractor will often save you money in the lon run. Quick story, about 2 years ago my mom decided she wanted a bigger master bedroom. She wanted a sitting area by a big bay window big enough to have bible study sessions and while she was at it she decided to make her closet just a bit bigger and her bathroom a bit bigger and so on. After she drew it all up in her head and knew what exactly she wanted she started to look for a contractor. She started with a few she saw on TV and said they were too expensive. Then she heard about one on the radio and she said he wasn’t the right one. So finally one day after bible study one of her friends told her about a contractor she used and how cheap he was and how happy she was with the work. My mom decided to have him give her a quote. I think she was sold on him from the time she heard about him in bible study. So he went to her house showed up in a unmarked van no company shirt no ID, but she didn’t mind since he was referred by a friend. He gave her the quote and she couldn’t believe it! He was gonna do more work than the other contractors and was more than $2000 less than the other guys. She hired him on the spot. The First few days were great they came in were tearing things downs removing walls creating openings for a new window, they even found a issue with the roof above her room they were going to fix at an additional cost. It took a good month i would say and they were finished. The Room looked great and she paid them in full. About a 2 months later we had a big rain storm and that’s when she found out “The cheapest price always ends up costing you more. There’s a saying in spanish, in my Ricky Ricardo voice “lo barato sale caro” It translates to the cheap is expensive. With all that rain she noticed her ceiling had a wet spot after a few hours it became a steady drip. She of course just put a pan under it and said i’ll the contractor. After several attempts he didn’t answer but my mom noticed another drip this one above her new sitting chairs and table she purchased for her bible study. After days and days of no response from the contractor and continued rain her ceiling caved in, all over her new furniture. Of course she called the contractor and still no answer. So i went out to help with the clean up and what we found was amazing. First there was no city permit pulled for the electrical work he did, i had a electrician stop by and he showed what was not done correctly and showed how it was a fire hazard especially with the roof leak. We found the water heater was moved to allow for more closet space with no shutoff valves no drain pan and the water pressure relief valve was not completed. She had so much water damage they had to pull the carpet remove the drywall on the ceiling and walls re wire the electrical, install the water heater correctly and fix the issue on the roof not to mention all her new furniture was ruined. She did finally get in touch with the contractor but he said he didn’t have insurance and didn’t have any money to help her. He defended his work and said it was not his problem. After it was all said and done to have everything fixed correctly and buy new furniture she paid about $5000 more than she would have paid if she had chose one of the first contractors who were properly bonded and insured. I’m happy to say her room has since turned out great and shes hosting bible study again. Do you need a quote to repair your heater in the Rockwall, Rowlett area? All of our technicians are trained and background tested will arrive in uniform and in a marked truck. We offer 100% satisfaction guarantees or we’ll make it right.